My LadyBug is pretty crafty. This weekend she gave me a little gift. It’s simple beans glued to cardstock paper. 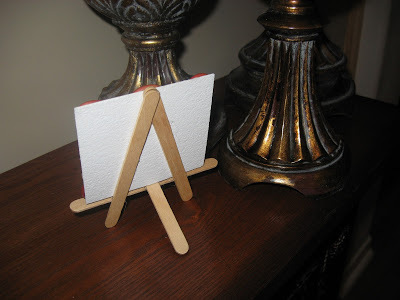 So neat how she made the little easel for it to stand on. I love how my kiddos share in some of the craftiness love that I enjoy. 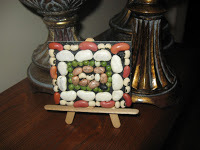 Whether it be Bean Art, a Hug or Smile. It’s those simple things that make this momma happy!